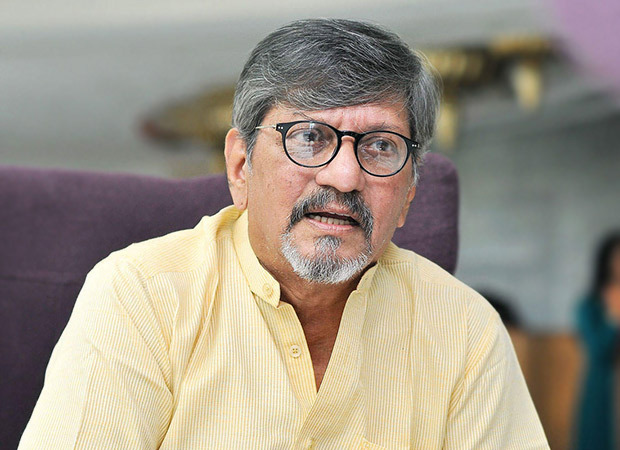 Amol Palekar was rudely interrupted from speaking his mind at the National Gallery of Modern Art (NGMA) in Mumbai when he was on the stage addressing the gathering. A clear and disturbing breach of the freedom of expression and also a manifestation of political censorship, the veteran actor-filmmaker speaks his mind to Subhash K Jha. I was disturbed. Breaking all norms of decency…so I was disturbed. But I kept my composure and maintained my decorum although the line of decency was crossed on stage. Have you seen my full speech? It is on the net. Aap padh lo. I was only allowed to say half of the things that I was meant to (on stage). So did the NGMA organizers have a whiff beforehand of what you were going to say? Maybe. I really don’t know. But that lady whom you see interrupting at the end of the video is the new director of the NGMA. She introduced herself as someone who doesn’t know anything about art. Nor she said did she know anything about Prabhakar Barwe and his work….so that’s how she introduced herself to the audience. Yes…and then she recited some of my lines from one of my films. I think they expected me to recite some lines from my Golmaal and all that. It is not. That’s what I was trying to say after I was stopped from speaking. The justification on their part for interrupting me…and they insist that they were not interrupting me but requesting me….was, it was inappropriate on my part to raise these issues on a platform like this. But my argument is, in fact this was just the right platform to raise the issue because I was raising questions related to the NGMA. I began by speaking about Barwe, how I personally knew him and what I thought of him as an artiste and his art. I can immodestly say that I was the only speaker at the event who spoke about Barwe’s art. Then I said, this was the last retrospective that was likely to happen in the hallowed and sacrosanct premise of the NGMA, and then I spoke about how the advisory committee had been scrapped. Ultimately I concluded wondering what Barwe would’ve thought of this (the scrapping of the committee and the cancellation of further retrospectives of artistes) if he was here. As a crusader of true democracy how do you compare the attitude of the current government as compared with previous governments? I’d say censorship now is increased manifold as compared to earlier on. I have been fighting against censorship forever. I fought my first case against censorship in the late 1960s or early 1970s. Even now I have petitioned in the Supreme Court against censorship in cinema. In the Mumbai High court I’ve petitioned against censorship in theatre. I’ve been fighting censorship all my life. And I will continue to do so. I’d say censorship in any form is wrong. Nowadays anyone can get up and say his sentiments are hurt, that his faith is being disturbed. Or he can say he doesn’t like the size of Amol Palekar nose, so chop it off. Not yours, Sir, they wanted to chop off Deepika Padukone’s nose?